We've participated in the Google Summer of Code program for the 5th time. Lucas Lira Gomes's integration of Tomahawk social features. Riccardo Iaconelli's "Amarok will shine like new", an exploration of QML usage in the context view. Phalgun Guduthur's "Semantic desktop collection in Amarok", finally bringing nepomuk and Amarok together. Help us create Amarok 3! In order to keep Amarok going forward, we need your help. Costs such as server maintenance and travelling expenses are too much for the development team without some backing. And this year, we'd like to do a big, funded push to get Amarok 3 ready to go. Some of our developers are willing to work one day per week at rock-bottom prices, and we would love to make that possible. So this year, we are setting a much larger goal than we have ever in the past, and are also cutting some other expenses such as our server costs. Remember, aside from this sprint to the future, everything we do, we do for free. And this is where you come in! Amarok 3's focus is on the desktop. The vision text from the Randa 2012 meetings is our guiding principle for the work we'll be doing from now till February 2013. We will present our results, a preview of Amarok 3, at FOSDEM 2013 in Brussels on February 2 & 3. This year’s Roktober, our annual fundraiser, has a goal of $15000 US. Reaching this goal will help us handle this next busy year. The funds will help us develop more powerful features in Amarok, pay for our servers, and send team members to conferences; we also are planning an intensive week-long developer sprint in February. Our "one day per week" funding will be used to lay the groundword for making that sprint uber-productive, so you, the user will see the progress no matter where you use Amarok. The roadmap to Amarok 3 has been made public. The currently active development team has made estimates for how long a specific task will take and have committed some of their free-time to completing them. You can dramatically increase the development pace by donating because we'll use any funds over $5000 to fund development on Amarok for up to one day a week. Combined with our free-time efforts this would give a 3-fold bang for each 1 buck donated! Be part of the next Amarok release! 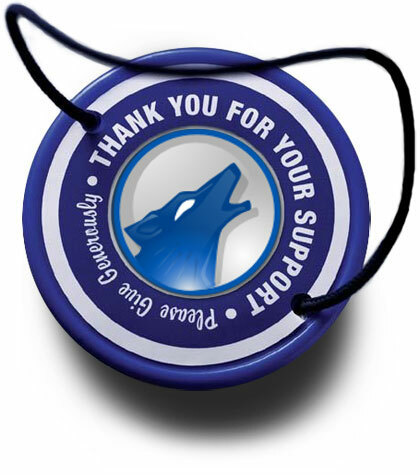 As a sign of our appreciation for your support we will add donors agreeing to it to a special section in Amarok’s About Dialog. Your name will then appear in each version of Amarok that gets released in the next 12 months. If you agree to be listed in Amarok’s About Dialog as a supporter please send an email to roktober@getamarok.com after you donated with your name as it should appear there (and if you have one, your nickname on opendesktop.org). If you are sending this from a different email address than your donation please mention this as well. Should you have any problems or questions about donating please also email roktober@getamarok.com. So join us, and throw in your share to Rok the World! In the left sidebar of this page you can see two donate buttons. The upper one is for donations via Paypal and the lower one is for donations via Google Checkout. Choose your preferred one and donate to support Amarok development. Thank you! USA If you'd like to donate by wire transfer or other means, please contact accounting@sfconservancy.org for instructions. Congratulations for ten years, and long life. Congratulations for this ten years. I think this post should appear on planetkde to win visibility. preparing version 3 while 2 is not still feature complete to the once innovative 1.4 series? You might want to read the roadmap. We won't stop developing Amarok 2 while working on Amarok 3. Most refactoring, cleanups and bug fixes for Amarok 3 will be in Amarok 2 releases. I'm working on CUE-support, full CUE-sheets in the Collection, not just loading a CUE file. The issue is that our legacy EngineController has workaround for old Phonon bugs and completely wrong architecture. It's a tricky one with a big risk of regressions so going slowly and perhaps will not use it for 2.x if there are known regressions. I'd be more interested if their 'vision' include basic robustness - "will not loose user data", "will not delete meta data when network resource is unavailable", "will recover from database corruption without intervention", that sort of thing. We take any data loss very serious. We've even delayed releases because we were hunting down an obscure data loss issue. Let's just state that the vision does not explicitly need to mention robustness because we all know very well how important that is. The basic fact with most free software projects is: the best testing is done by users. We can't begin to cover all possible scenarios in which our code is used. So it's important to test betas/git versions and to file bugs so we can fix them. I love Amarok music player, simply the best music player there is and I can't wait what will come in version 3. Keep up the great work! Please make the donate link more visible. It should be nice and big and the easiest thing to see in the article. Thanks!